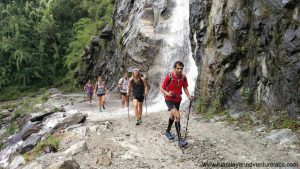 “The path of Nepalese trail runner Mira Rai’s life must be about as statistically improbable as winning the lottery, getting struck by lightning, or something equally obscure,” says Meghan Hicks in her review of the 42 minute film on iRunFar.com. She has a point and doesn’t it just make for an uplifting story? It came after more than a year of hard work. While Lloyd was editing filmed material, and learning during the process, Mira was rapidly updating her story – she wouldn’t stay still. “I like so much this film! WOW amazing hard work Lloyd Brother! Thank you thank you!” said Mira after watching the 42 minute movie yesterday. She and Lloyd sincerely hope you will enjoy it too. All Vimeo rental sales will go directly towards funding the screening of ‘Mira’ around Nepal and to empower and encourage Nepalese girls to participate in sports. Soon, in Nepal a free version will be available to watch on Youtube – details to follow. Please note there are some screenings of the film starting to happen around the world. If you want to show the film to your organisation or group, you can request to host a screening here and we will add your screening to the list. Mira from Lloyd Belcher Visuals on Vimeo. 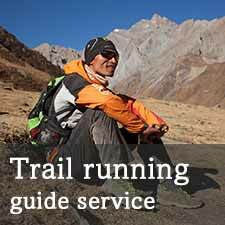 “Among the many ultrarunning movies, this one is a real gem. Fascinating to watch Mira Rai’s journey from growing up in the remote countryside poverty to competing with, and winning against, the worlds best in the sport. Brilliant movie.” – Andre Blumberg, HK. Hope you enjoy the film! Watch it on Vimeo for $10. This entry was posted in Blog and tagged Mira Rai, nepal uplifting stories, sports movies, trail running film. Bookmark the permalink.